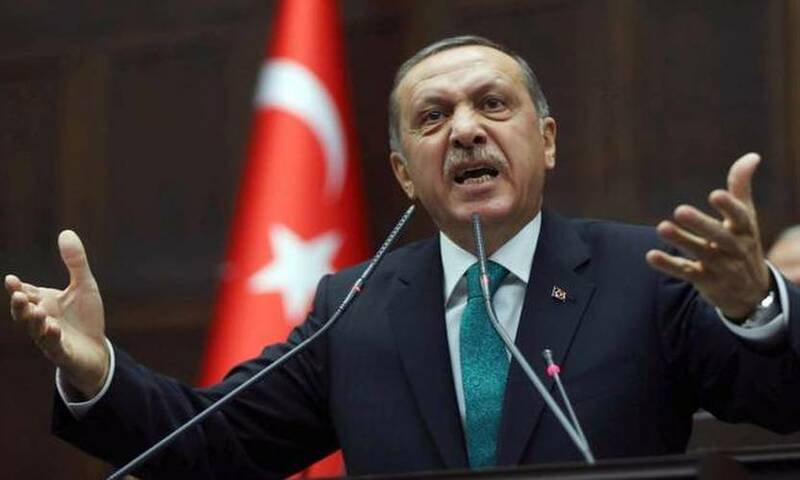 Turkish President Recep Tayyip Erdogan on Tuesday insulted Greeks calling them “infidels” in a press conference on Turkish television. In an interview for three Turkish TV channels (ATV, A Haber, A News), Erdogan provoked Greeks one more time. Speaking about the July 2015 coup attempt, he talked about the owner of the hotel he was staying at during the coup and his suggestion to the president to flee to the Greek islands to save himself. Erdogan repeated the answer he allegedly gave to the hotel owner: “Serkan, I told him, I want to die in my homeland. I will not go to the land of the infidels to live my life as a prisoner,” according to the ANT1 television correspondent in Turkey. On Sunday, there is e referendum in Turkey with Erdogan seeking to change the Constitution and give more powers to the president.